I often find myself wishing for extra days. Extra hours, or minutes even. There has been a lot going on lately, and I have often felt like I’m non-stop-running from job to job to project. Because of the threat of bad weather, schedules were changed at my day job, and I wound up with today off of work. My ‘make all the things’ weekend started a day early! I made the most of it! There are now prints ready for my next box, quite a bit more of my wood block engraved, test prints done, more ideas thought, and new artwork framed for the gift shop at Bloomington Art Center. At first, I didn’t know where I should even start. I still couldn’t fathom having an extra day to myself. 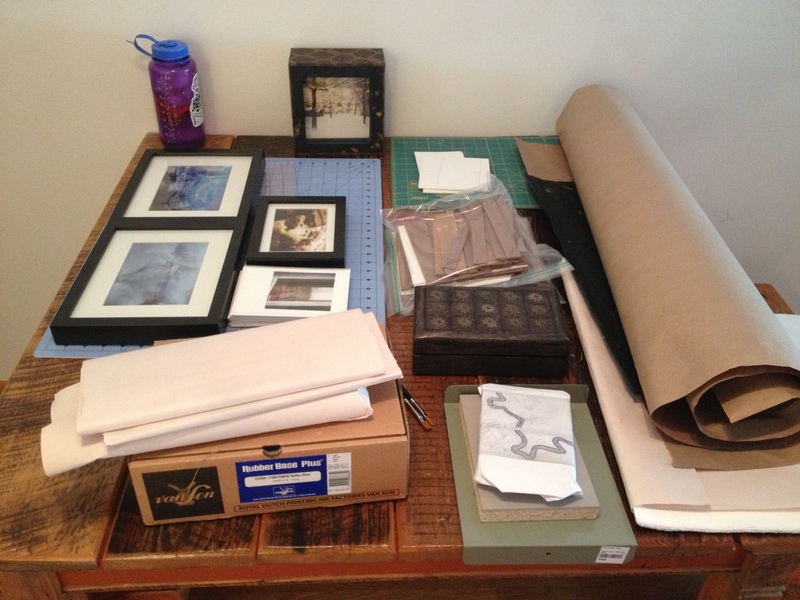 So, I piled organized everything on the kitchen table, and picked something to start with. 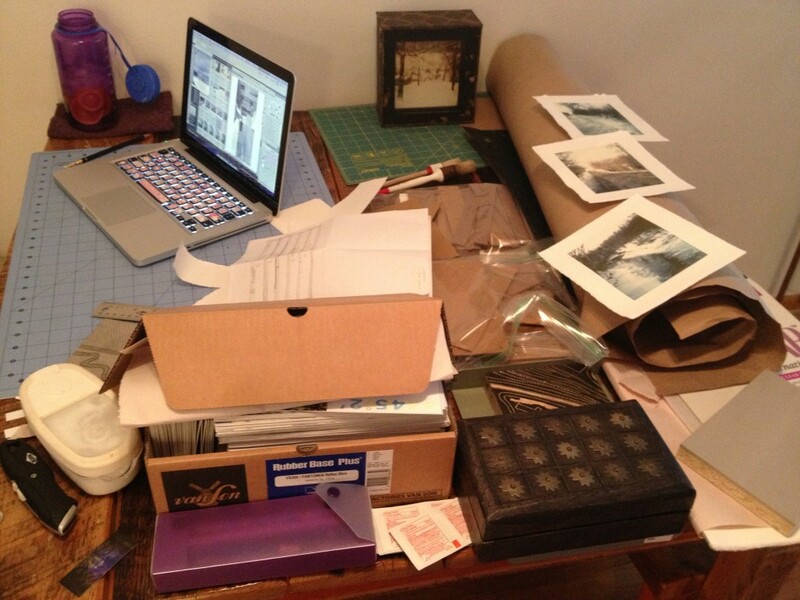 Happy chaos of prints, book pages, and everything else. More of that tomorrow! I wrote poem #10 today. I wrote it earlier today while I was in between bits of projects. I noticed there were no birds or squirrels out here, and the princess was huddled in a corner of the room. Everything seemed to be waiting. It isn’t my favorite poem, but it is one for today. and the growing season is still not here. We will see what the storm brings tonight!